^ Mary Elizabeth Devine; Carol Summerfield. International Dictionary of University Histories. Routledge. p. 304. Retrieved 2 December 2013. ^ "Class of 2023 Admission Results". College Kickstart. Retrieved 2019-04-12. ^ "2017-2018 Common Data Set". 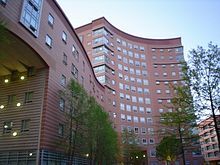 Northeastern University. Retrieved 2019-04-12. ^ "2016-2017 Common Data Set". 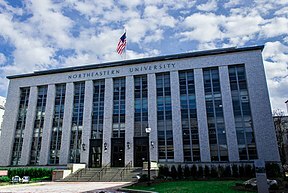 Northeastern University. Retrieved 2019-04-12.